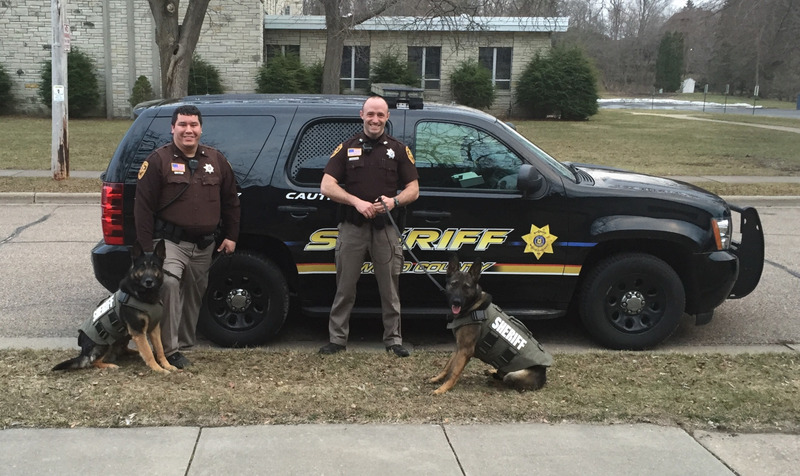 Thanks to the citizens of Wood County, the Sheriff's Department has two K-9's. 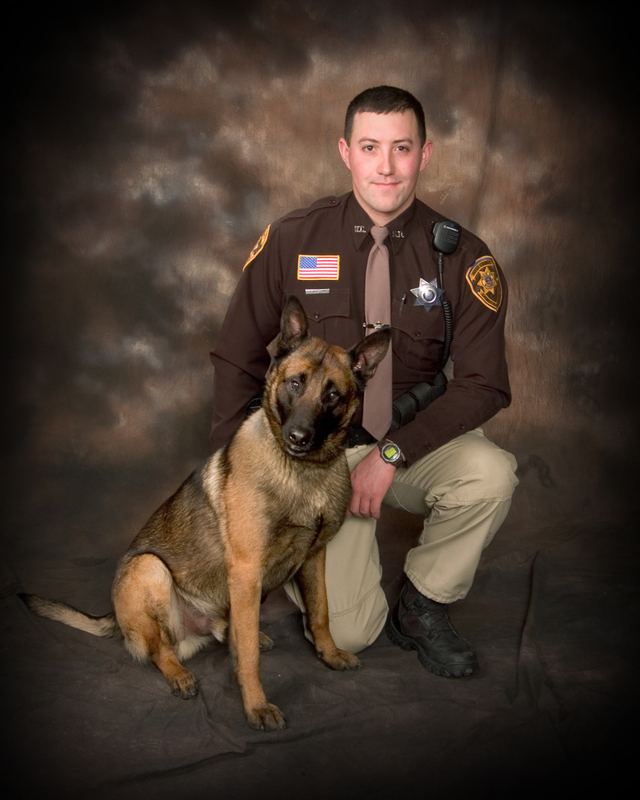 Deputies Brandon Christianson and James Pidgeon are certified K-9 police dog handlers and have both attended highly specialized K-9 police dog training. 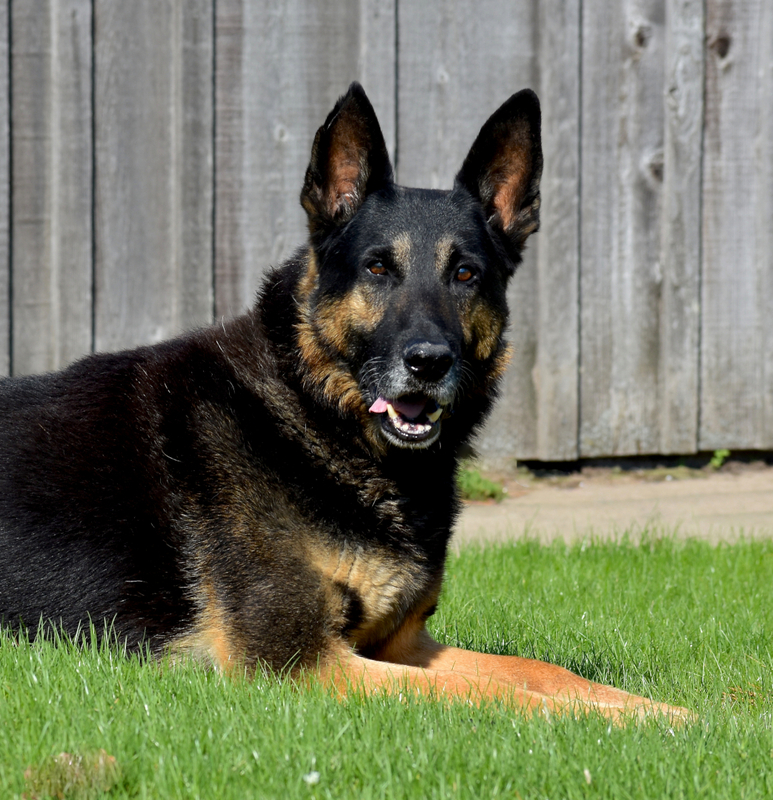 The training focuses on harnessing the dog's greatest attributes for police work: the ability to track and detect suspects and intimidate them psychologically. There is a K-9 unit available on most shifts. The K-9’s are trained in narcotic detection, patrol apprehension, and tracking and are what is termed "full service" dogs. The K-9’s consist of German Shepherds named Toro and Ace. Demand for K-9 presentations to various groups and schools remains high. People of all ages enjoy the opportunity to see the K-9's and hear of their exploits. The K-9s seem to enjoy all the attention lavished upon them at these presentations. 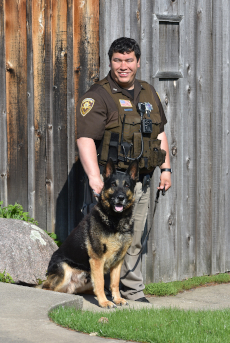 The K-9’s drug work is the highlights of their deployments as the K-9 team works hard for the Central Wisconsin Drug Task Force. Methamphetamine and heroin seem to be in high demand in the area and it shows up in the frequency that we are called to look specifically for it. 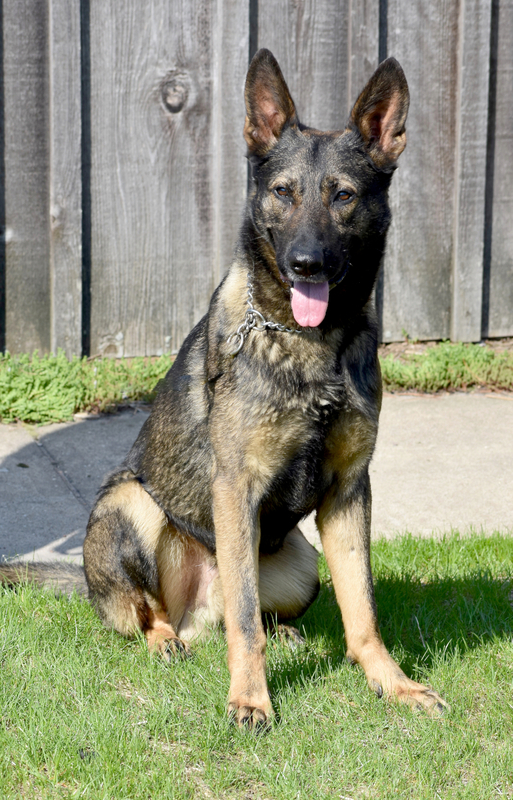 The K-9's are highly regarded for their tracking ability and are called upon to look for lost people, drunk drivers fleeing the scene, and burglars. The K-9s' ability to locate small items thrown away during crimes are always put to the test, successfully. The K-9 unit has a memorial plaque on display at the Sheriff’s Department to our past K-9’s, Rico, Friday, Kilo and Rex. 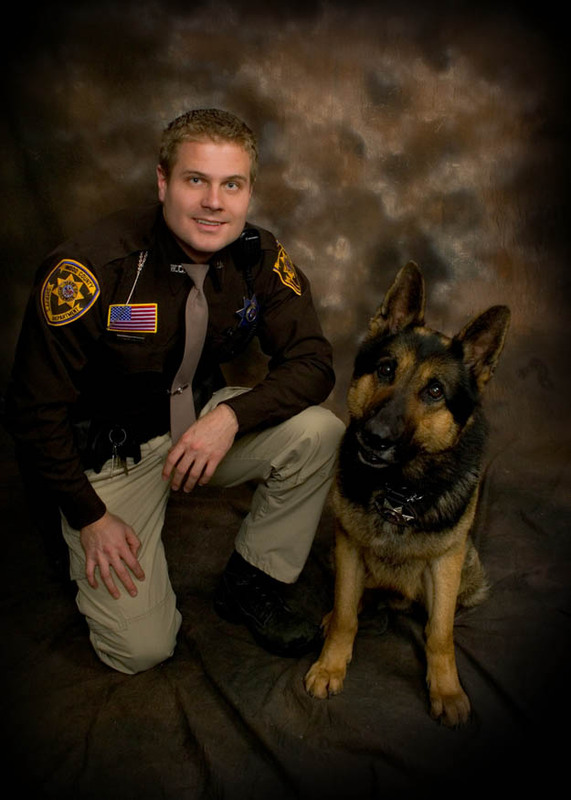 We will always miss them for the service and commitment they provided the citizens of Wood County. 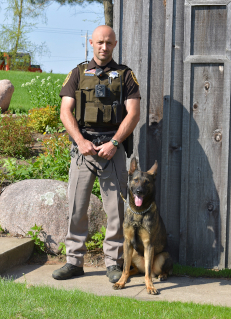 Deputy Brandon Christianson and "Ace"
Deputy James Pidgeon and "Toro"
The Wood County Sheriff’s Department would like to thank all of the many individuals and business from our community for their generous support of our K9 program. 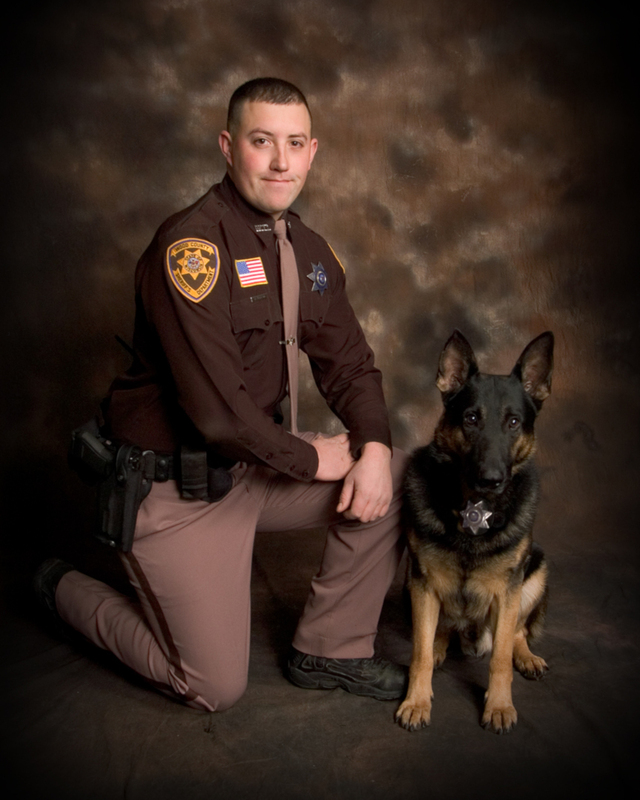 If you would like to make a donation to the K9 program please contact us via our web contact form.